Events Archives · Stop the Cap! Californians will have their chance to speak out about the proposed merger of Charter Communications and Time Warner Cable at a public hearing in Los Angeles tonight before an administrative law judge working for the California Public Utilities Commission (CPUC). California will be the last major state capable of killing the transaction should the CPUC reject the merger on the grounds of it not being in the public interest. New York regulators approved the merger, but only with a lengthy list of conditions designed to improve service for New York residents. Stop the Cap! will be represented at the hearing tonight by Matt Friedman, who will help us improve our vigilance of cable and phone companies serving the west coast. Friedman has done an incredible job exposing the sham of usage caps and compulsory usage-based pricing in his written testimony, which will be published here after being filed with the CPUC. As with most CPUC public hearings, we expect speakers will only be given a few minutes at most to state their views on the merger. As we did in New York, Stop the Cap! will oppose it on the grounds it is not in the public interest. We remain suspicious about Charter’s commitment to not impose usage caps or usage pricing for only three years. Most consumers will not see much of a change in the broadband marketplace over the next few years. Charter can afford to wait 36 short months before potentially slapping on usage caps/billing — after winning additional regulatory approval to buy out even more companies. While the CEO of Time Warner Cable will walk away with over $100 million in golden parachute benefits if he successfully sells Time Warner Cable, we anticipate most customers will win a higher bill. Friedman will share our ongoing concerns that Charter’s offer is less impressive than Time Warner Cable’s own Maxx upgrade initiative, which will deliver 300Mbps service for the price Time Warner Cable customers currently pay for 50Mbps. Time Warner Cable’s $14.99 budget Internet service is also on Charter’s chopping block, to be replaced with an entry-level tier offering 60Mbps for about $60 a month — four times more expensive. In short, the only honest reason to allow this deal to succeed is if we want to further enrich Time Warner Cable executives and shareholders while customers take all the risks of higher bills, worse service, and usage caps starting in 2019, with few if any other options. 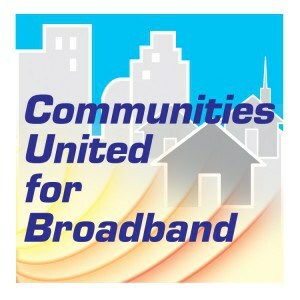 Also planning to attend are Common Cause, Free Press, and the National Hispanic Media Coalition, which all argue allowing this deal to succeed sets up America for a national virtual duopoly between Comcast and Charter, with just two companies controlling the majority of broadband connections in the United States. A ban on compulsory usage caps or usage pricing. An affordable, unlimited option broadband tier should always be available, at prices comparable to what consumers pay today for Internet service. Charter should be forced to commit to upgrading its entire service area in California to an equal level of service offered by Time Warner Cable Maxx. 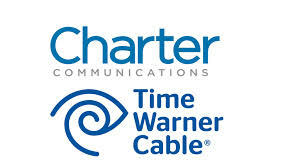 Charter should be required to keep Time Warner Cable’s affordable, no-contract/no-requirement $14.99 Everyday Low Price Internet plan and boost its speed. Most-favored state status for California, automatically giving California consumers the benefits won from conditions imposed by regulators in other states. …and other consumer-targeted service improvements. Since Verizon Wireless stopped selling unlimited data plans and turned data into a precious commodity usually worth about $10 per gigabyte, the company can afford to give some of it away to their loyal customers. This holiday season, Verizon Wireless is handing out up to 3GB of wireless data a month, but only to those who ask. As part of Verizon’s Thanksgiving promotion targeting holiday travelers, customers can get a free gigabyte for use immediately and another gigabyte to use next month just by clicking on a link. The offer can only be redeemed once per account on qualifying plans and is shared by all lines on an account. Users who want even more free data can snag an extra 2GB a month for three months by downloading Verizon’s Go90 online video app (for iOS and Android) and registering for an account. Your confirmed registration will trigger an immediate gift of 2GB of wireless data for your current month’s data plan and an extra 2GB for the next three billing cycles as well. If Go90 proves uninteresting, you can uninstall it and still get free data during the length of the promotion. This promotion is only good if you have a More Everything or Verizon Plan. It is not available if you use prepaid service, a different grandfathered plan, or do not keep your account in good standing. National and government accounts also do not qualify. Go90 videos are disabled for jailbroken or rooted devices, although you may still register and participate in the promotion if you use such a device. Free 30-minute Gogo Wi-Fi session on select airlines. Verizon’s website offers an option to send yourself a reminder to participate when the promotions become active next week. My apologies for the poor audio. You will need to stay close to the volume control on this one because the volume may suddenly change between speakers. We had less than ideal recording conditions and no access to the microphone output. Testimony from Comcast begins 5:40 into the video. Our testimony starts at 36:30, which closely follows the transcript already published. Q&A follows me and then the public input session begins. Hank Hultquist, AT&T’s federal regulatory vice president, is taking questions on broadband Internet policy in an upcoming Washington Post piece. Here is your chance to question AT&T about broadband issues ranging from Internet Overcharging schemes like usage caps and rationing experiments, Net Neutrality, U-verse and DSL broadband expansion, and AT&T’s involvement in the public policy arena. AT&T is currently seeking major changes to the $8 billion Universal Service Fund that helps subsidize phone service for rural Americans. AT&T wants to see that fund expanded to subsidize broadband improvements, which will directly benefit AT&T as it is among the top recipients of USF funds. With 16 million current broadband customers and a service area that extends into the often-rural midwest and southern parts of the country, AT&T could receive a windfall in federal funds to pay for broadband service it doesn’t provide many areas today. But what kind of broadband service will AT&T offer? The company recently concluded a trial limiting use of its AT&T DSL service to customers in Beaumont, Tex., and Reno, Nev. AT&T claims it is currently analyzing the results of that trial, and could bring usage limits on all of its customers. Feel free to pose your own questions in the comments section of the Washington Post article (reg required) or sending an e-mail to Cecilia Kang ([email protected]) no later than Friday morning. Shouldn’t those broadband Internet users (consumers or big businesses), who use the most bandwidth and benefit the most from faster more ubiquitous broadband, contribute relatively more to the Universal Service fund than those consumers and businesses that use much less bandwidth? Isn’t that the basic fairness principle that has long undergirded the current Universal Service fund, which is based on long distance usage/minutes? Do you want to pay the higher broadband bills that Cleland advocates? Kang promises to include as many of your questions as possible and post the Q&A early next week. North Carolina faces a moratorium on municipal broadband deployment. On Wednesday, Senators David Hoyle and Daniel Clodfelter will introduce a bill expected to stall community broadband projects across the state. The bill, which has yet to be seen by the public, should appear in the Revenue Laws Study Committee, co-chaired by Clodfelter. We have heard the bill faces mere minutes of consideration before a quick vote, in hopes of moving it forward before the public finds out what elected officials are doing on their behalf. Proponents of the moratorium argue that municipal broadband harms private industry and reduces tax revenue the state earns from those businesses. But their argument lacks something — merit. Missing from the debate are the actual numbers from the state’s largest telecommunications companies. How much tax revenue does Time Warner Cable, AT&T and CenturyLink (formerly EMBARQ) generate? We don’t know and the two senators (and the companies involved) aren’t saying. benefits to the education and health care sectors (future taxpayers and keeping current taxpayers alive and healthy). Make no mistake — a moratorium is just a stall tactic to protect current provider profits and avoid competition, all while giving them more time to organize a push for a permanent ban on such projects. Why are Hoyle and Clodfelter only concerned with protecting incumbent telecom companies? What about the rest of us? Please join us tomorrow at the Legislative Office Building in Raleigh, and perhaps we can ask them. Action Alert — We Need Your Attendance! Why: Just having consumers in the room make elected officials nervous, especially when they are about to introduce a bill the public has never seen five minutes before a vote to move it forward in the short legislative session starting May 12th. Raleigh, NC – May 4, 2010 Google, Intel and six other private sector groups announced strong opposition today to a North Carolina municipal broadband moratorium being considered by the General Assembly’s Revenue Laws Study Committee, calling it “a step in the wrong direction,” “counterproductive” and “conspicuously in opposition to national broadband policy.” Legislation to prohibit municipal broadband deployments in the state is expected to be introduced and voted on tomorrow May 5. At least 45 individual communities in North Carolina, including Raleigh, Cary, Chapel Hill, Carrboro, Greensboro, Asheville and Wilmington, recently applied to partner with Google on its announced plans to build ultra-high speed fiber to the home systems. A bill supported by Time Warner Cable and AT&T, the municipal broadband moratorium is being pushed by Senators Hoyle (D-Gaston) and Clodfelter (D-Charlotte Mecklenburg) for the alleged purpose of protecting the private sector and associated state tax revenues. But opponents to the bill argue the bill would hurt the private sector and even these representatives’ local constituents. Such a moratorium would terminate the City of Charlotte’s recent plans to build a multi-million dollar municipal network to provide broadband service to its public safety, educational, government institutions and the unemployed through the use of federal ARRA broadband funds. The bill also has the potential to make both Gaston and Gaston County less attractive to Google with whom they submitted an application to partner for a fiber to the home network. “North Carolina should be lowering barriers to public broadband initiatives rather than establishing new ones, so that we and other high technology companies can spread and prosper across this beautiful state,” the letter states. At least 45 individual communities in North Carolina, including Raleigh, Cary, Chapel Hill, Carrboro, Greensboro, Asheville and Wilmington, recently applied to be partners with Google on its announced plans to bring fiber to the home to between 50,000 to 500,000 households in an effort to unleash advanced scientific, educational, medical and environmental applications through these ultra-high speed networks, now being deployed throughout the world and in China. North Carolina already has two municipalities, Wilson and Salisbury, deploying these fiber systems to their residents. The Fiber to the Home Council also sent a separate letter to North Carolina Governor Bev Perdue. You can continue to write the legislators who are pushing this industry written legislation. Trust me they are hearing you. Be nice, but let them know you do not want a moratorium on muni-broadband, it will hurt economic development in our state and you want what the rest of the world enjoys for broadband access.